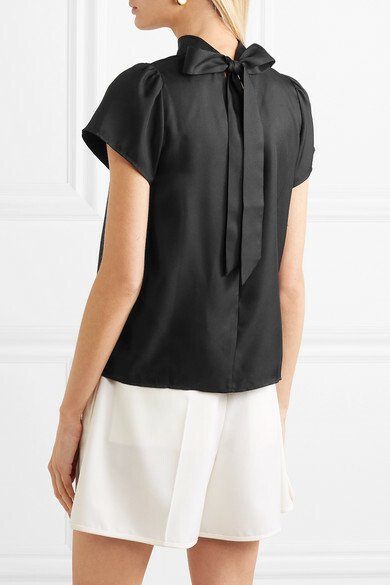 J.Crew's 'Coll' top looks just as good with tailoring at the office as it does with jeans at the weekend. 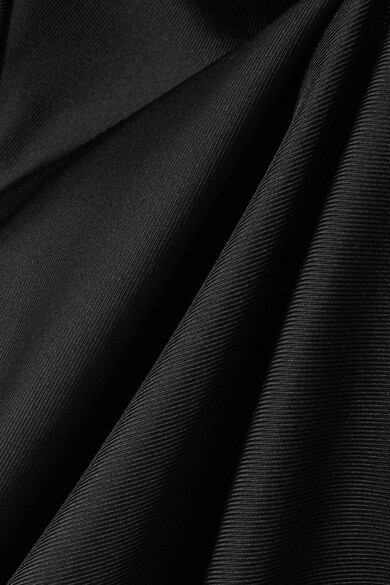 Cut from lustrous black silk, it has a high collar and pretty puff sleeves. Tie your hair in a high ponytail to show off the bow at the back. 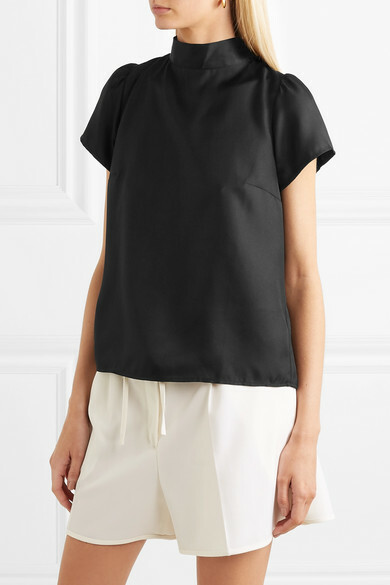 Shown here with: Jil Sander Shorts, Rosetta Getty Sandals.